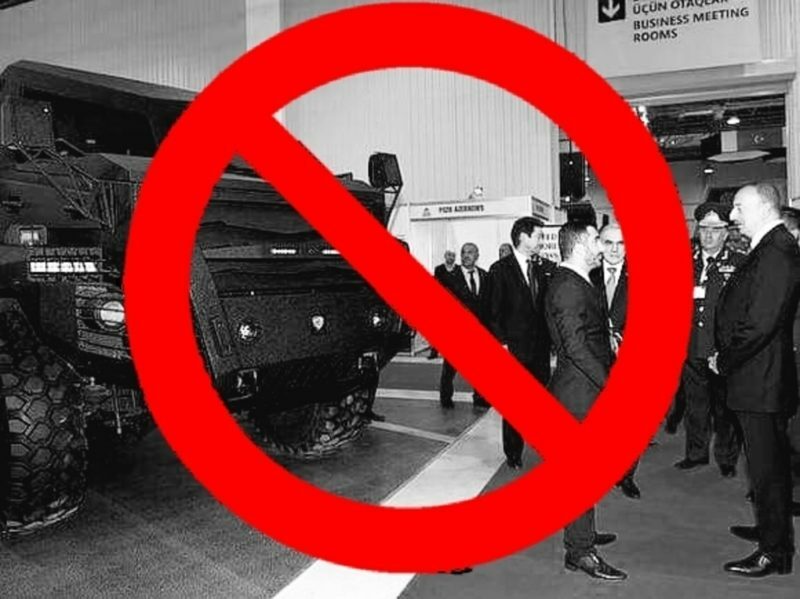 Ottawa- The Armenian National Committee of Canada (ANCC) is appalled to learn that the Canadian government has granted an export permit for the transfer of highly sophisticated military equipment from the Toronto-based INKAS Armored Vehicle Manufacturing over to the Republic of Azerbaijan. In a letter addressed to Canada’s Minister of International Trade, the Honourable Francois-Philippe Champagne on July 24, the ANCC called upon the Canadian government to immediately halt the transfer of weapons to Azerbaijan and take the necessary steps to reverse this wrong decision. “Such transfers of dangerous weaponry to a rogue states such as Azerbaijan violate the very basic norms of Canada’s arms exports regulations and pose a significant danger to domestic and regional stability” said Shahen Mirakian, president of the ANCC. “As has been demonstrated repeatedly thus far, the Azeri regime is adamant on using such equipment not only to perpetuate regional instability by threatening the peace and security of the Republic of Armenia and the Republic of Artsakh (Nagorno-Karabakh), but also to crack down on dissent at home” added Mirakian. In response to the decision taken by the Canadian Government, the ANCC has launched an online action alert campaign, urging members and grassroots activist to take immediate action and demand the cancellation of this highly controversial arms deal. As a matter of fact, in April of last year, Azerbaijan, armed with then-newly acquired lethal weaponry, initiated the Four-Day War which was the deadliest clash between Armenian and Azeri forces since the 1994 ceasefire, and has been culpable of countless ceasefire violations up to that point and ever since. By allowing this export of military goods to Azerbaijan, Canada is contributing to the hostilities among Azerbaijan, Armenia and the Republic of Artsakh. Such decisions are contrary to Canada’s commitment and full support of the OSCE Minsk Group negotiation process and for a peaceful resolution to the conflict. As for its human rights record, Azerbaijan has been repeatedly condemned by prominent rights watchdogs such as Human Rights Watch and Amnesty International for what is deemed to be a recurring suppression of fundamental freedoms, most notably its continuing assault on independent journalism and human rights advocacy in the country. “In observance of Canada’s stated priorities regarding arms exports, namely preserving regional peace and stability, and protecting human rights, we urge the government to not allow the interests and motives of hostile nations trump our shared values of justice and democracy” concluded Mirakian.